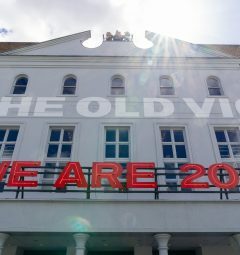 On the 13th anniversary of Arthur Miller’s death we look back on his connection to The Old Vic and the impact his work has had. 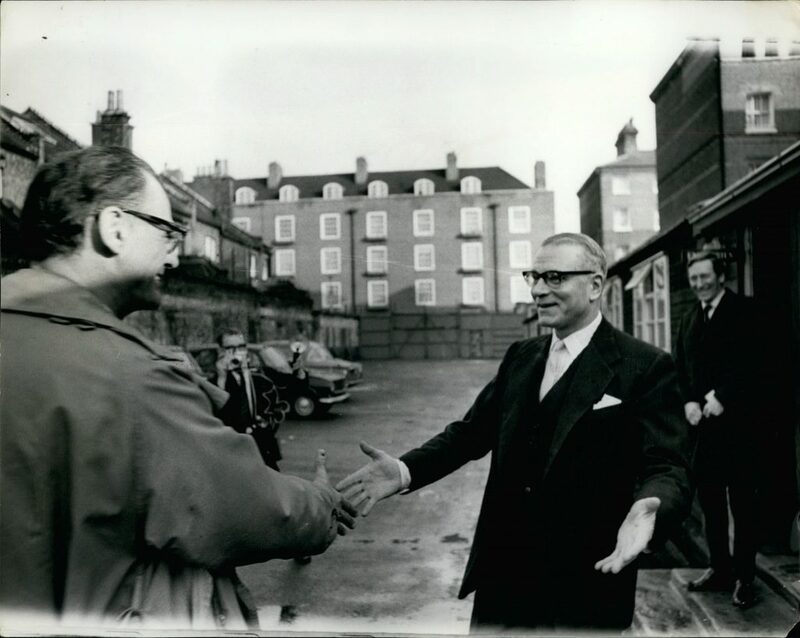 During Laurence Olivier’s time as Artistic Director of The Old Vic, he was delighted to get the opportunity to direct Arthur Miller’s The Crucible in 1965, and wrote to Miller to tell him so, as well as how determined he was to get the language and accent just right. This was just the thing Miller wanted to hear, fascinated as he was by the language used in Salem in the 17th century. In fact this was the main thing that drew him to write The Crucible, and something he had studied in depth before writing the play. Miller excitedly replied to Olivier’s letter: ‘You delighted? Not half as much as I am to think that at last the play will be done by a man who actually is concerned with its language…’. He used his studies in Salem to help Olivier work on the dialect for this production in a way he thought would be as authentic as possible. Olivier’s production was a great success. Interestingly, Miller’s plays had always been better received in England than in America, perhaps due to the reluctance of Americans to face the harsh reality that Miller’s plays reflected back at them. It is however the wide relevance of Miller’s plays that mean they have remained popular over many countries and over many decades. 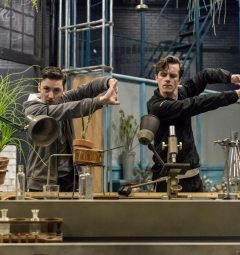 The Crucible returned to The Old Vic in 2014, this time directed by the internationally acclaimed Director Yaël Farber, and with Richard Armitage in the leading role of John Proctor. Yaël Farber was mesmerised by The Crucible − since her first reading of it at the age of 13. Her production of the play at The Old Vic was a searing and darkly visceral production that demonstrated her passion for the original text and garnered five star reviews across the board. Miller’s plays all ultimately address a realisation that the social systems we rely on every day will not necessarily protect us − that society doesn’t always make sense. This year, we present two back to back Arthur Miller plays that hold their own significance in 2019. Our current production of The American Clock is set during the Wall Street Crash and warns how quickly we could lose the comforts we have taken for granted. This rarely performed Miller is brought to The Old Vic stage by Rachel Chavkin with a fresh take, a pulsing contemporary soundtrack fused with 20s jazz and a thrilling revolving stage that once again transforms our auditorium. Our production of All My Sons, directed by Jeremy Herrin with Sally Field and Bill Pullman in the leading roles, begins in April. The play that brought Miller his first commercial success is a heart-wrenching portrayal of the archetypal all-American family brought to its knees by dishonesty and a determination to live the American dream at any cost. Starting with Olivier’s dedication to doing Miller’s work justice back in 1965, we continue to be intrigued by what important questions Miller’s plays ask and the impact they have with every changing decade. Book for The American Clock now showing until 30 Mar and All My Sons which will run from 13 Apr – 8 Jun.